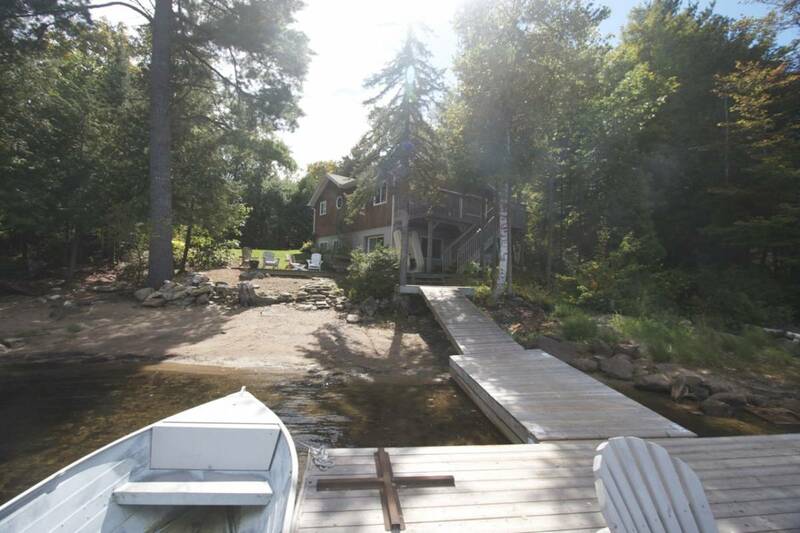 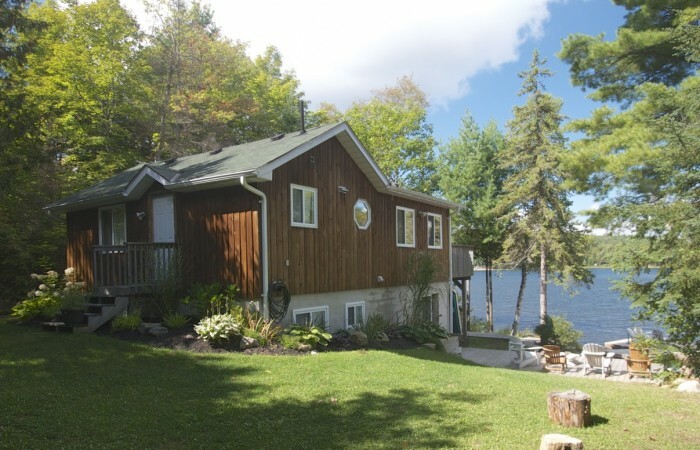 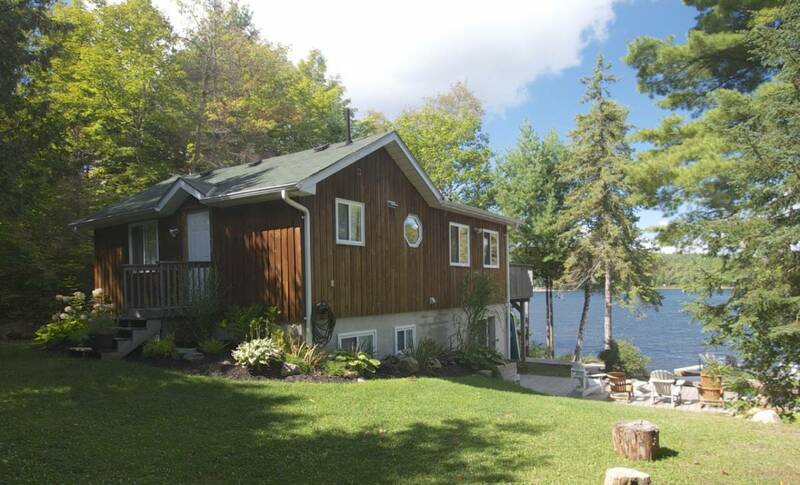 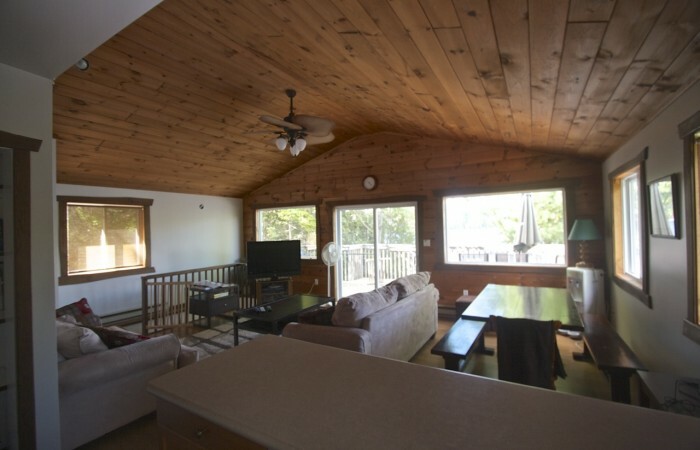 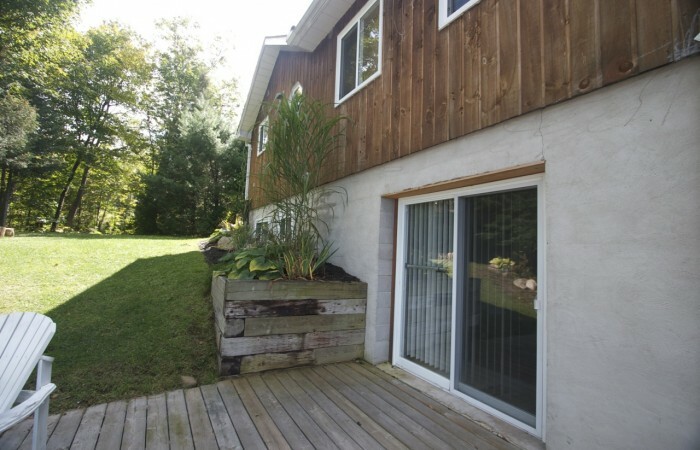 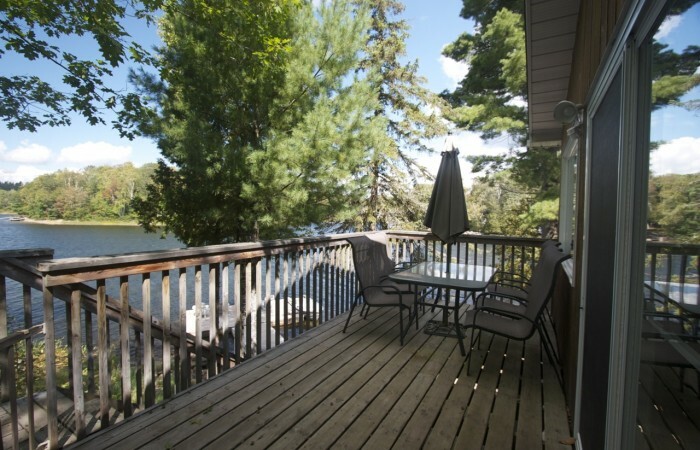 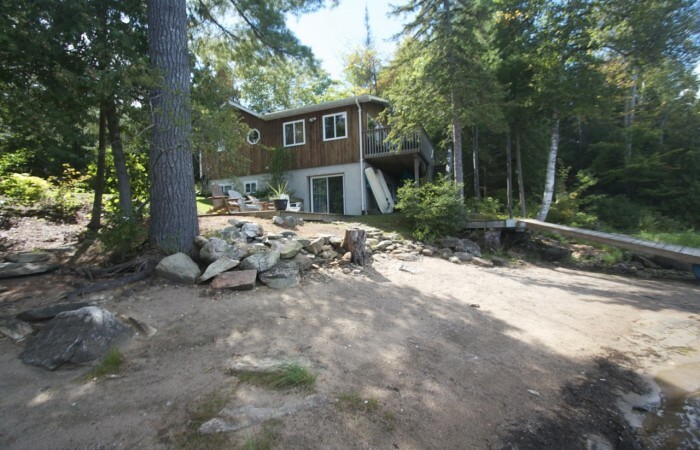 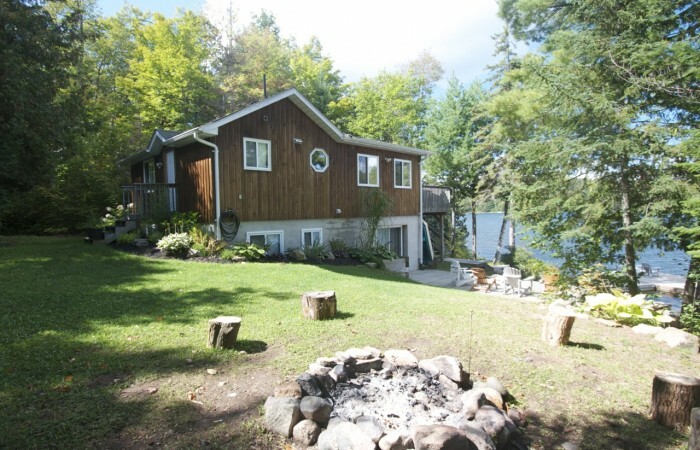 Situated in the picturesque Algonquin Highlands, this 4 season cottage/home is perfect for outdoor enthusiasts as it is on a multi-lake chain. 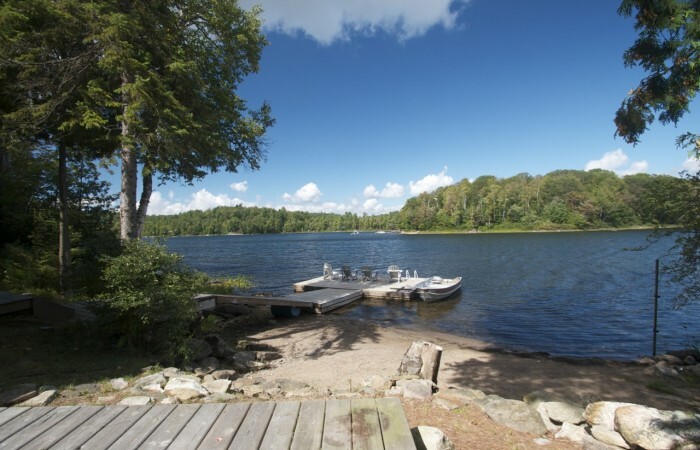 Saskatchewan Lake is large enough to enjoy motor sports, and a canoeist’s paradise awaits as you paddle around the connecting lakes. 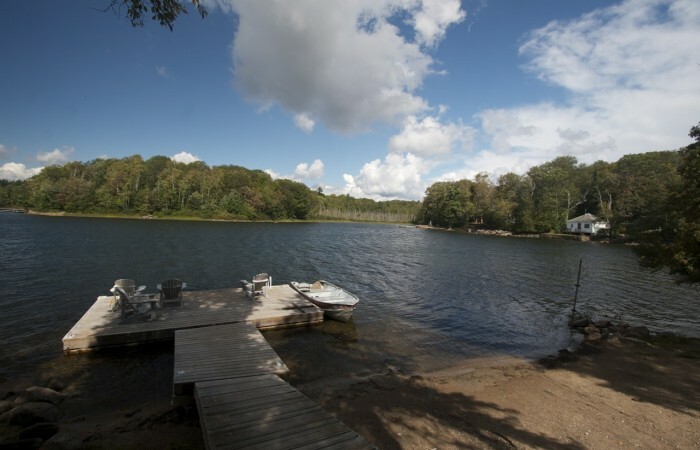 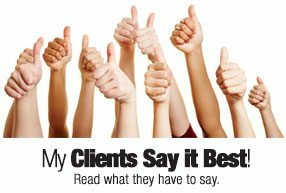 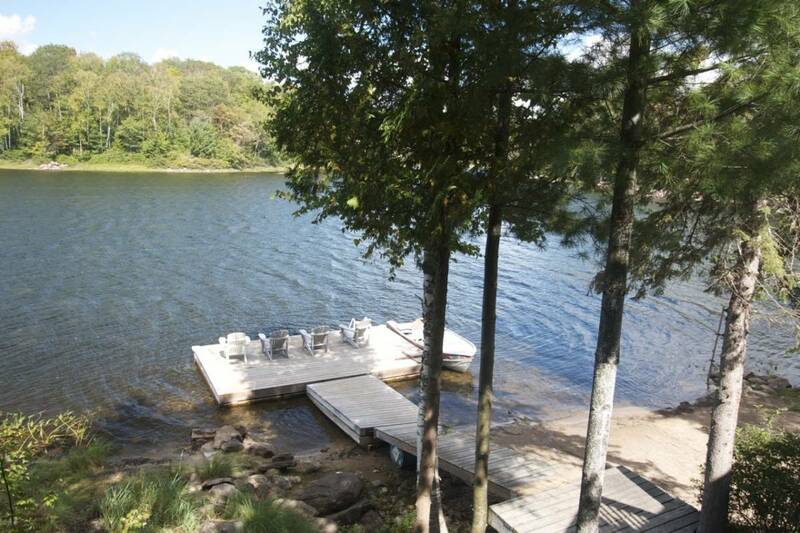 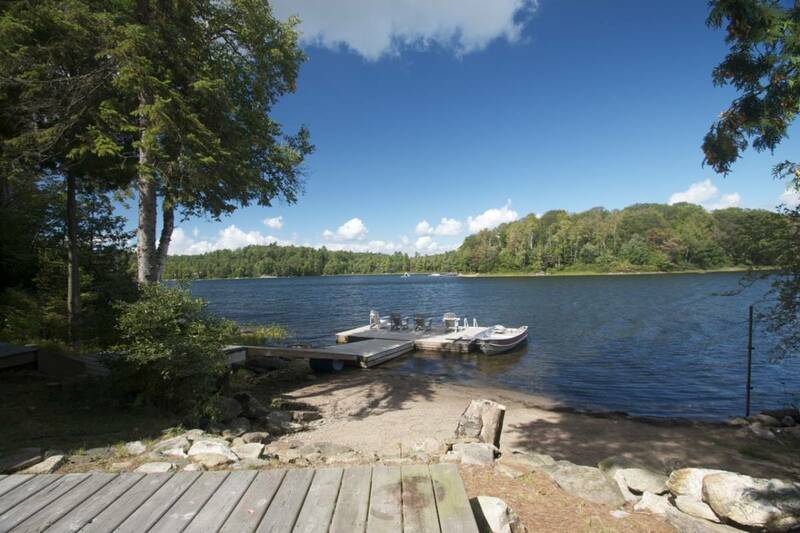 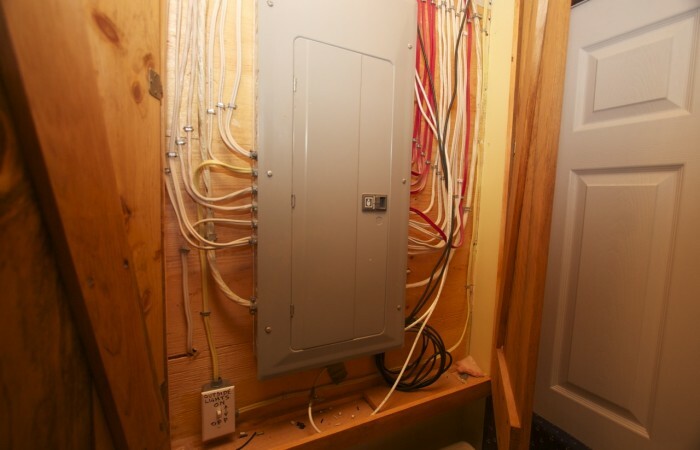 Close to hiking trails, snowmobile trails and fantastic fishing all around. 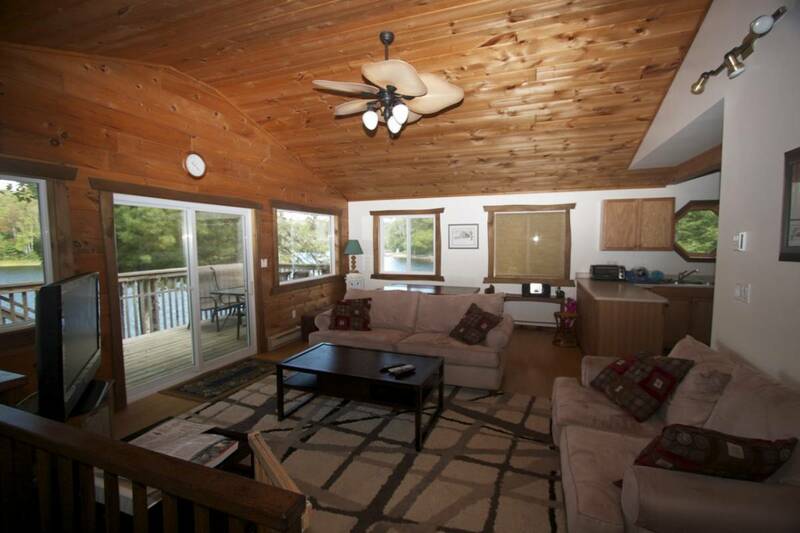 And with 1560 total square feet of living space, there is more than enough space for friends and family to come too!!! 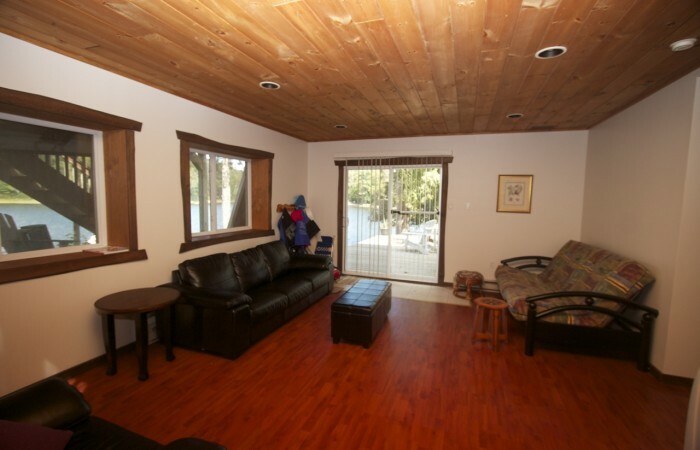 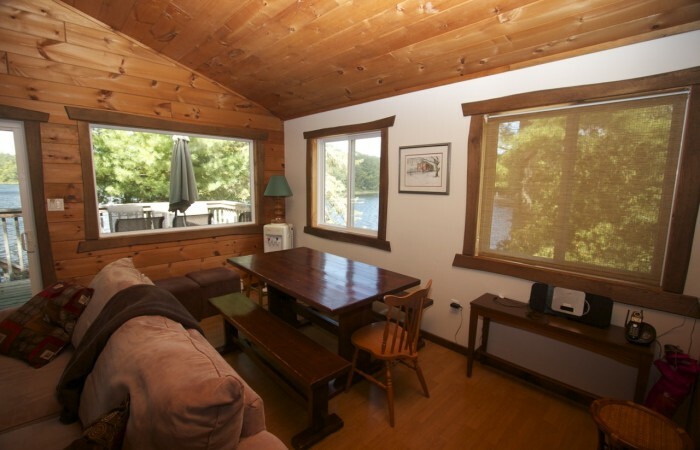 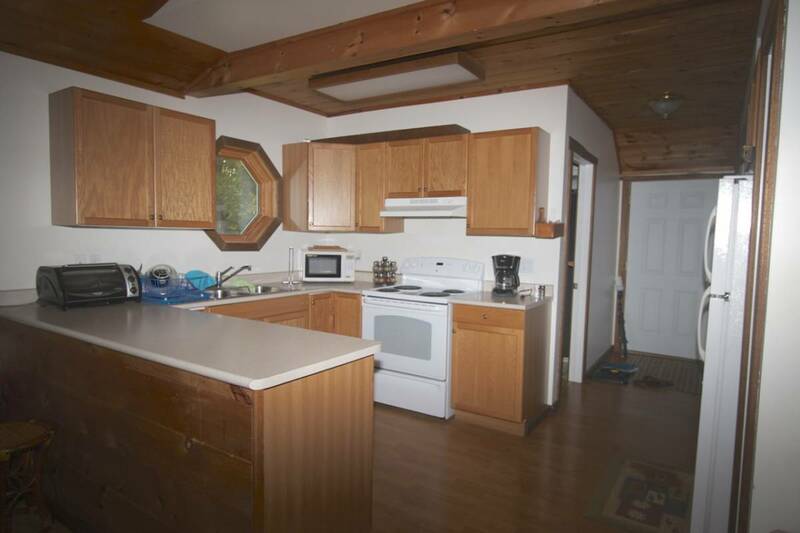 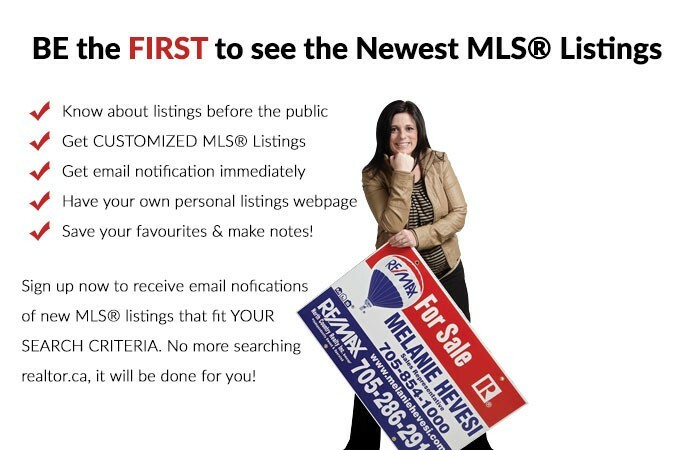 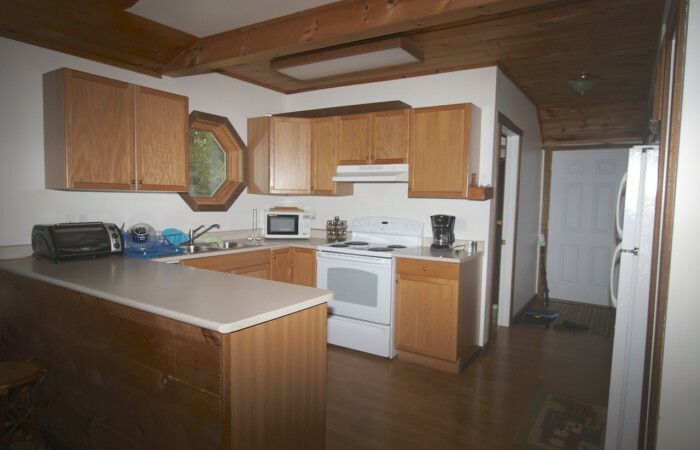 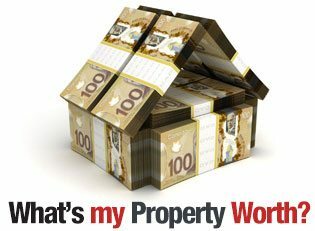 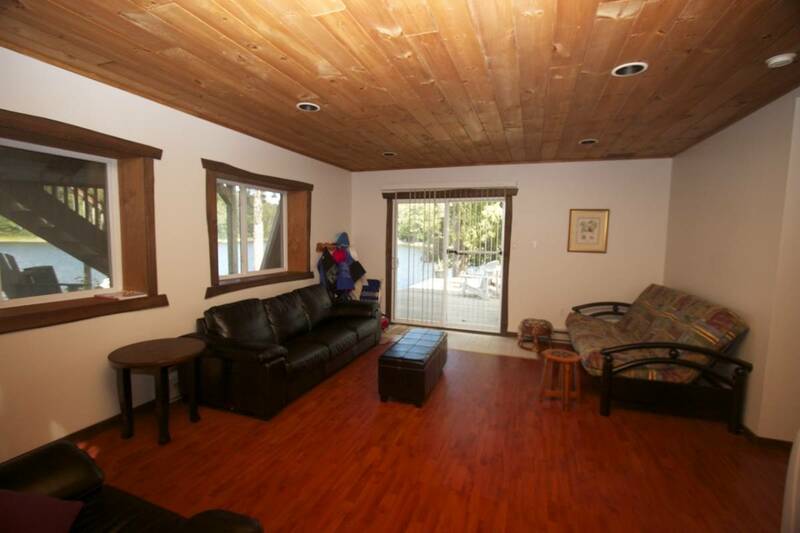 The main floor is open concept with a kitchen/dining/living room area – all with awesome views of the lake. The patio doors lead out to a large deck which is great outdoor space for entertaining. 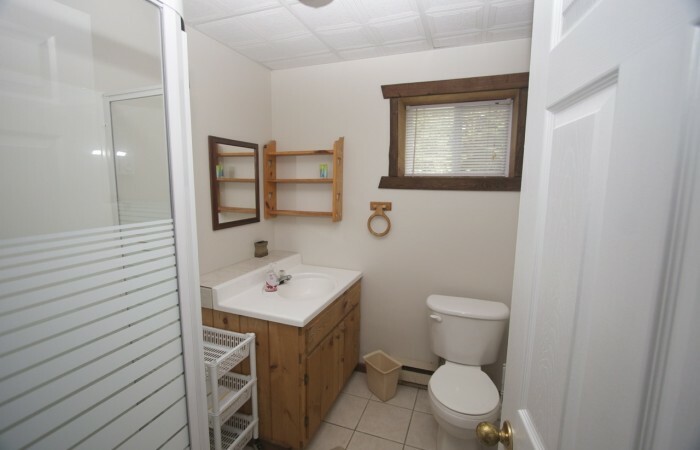 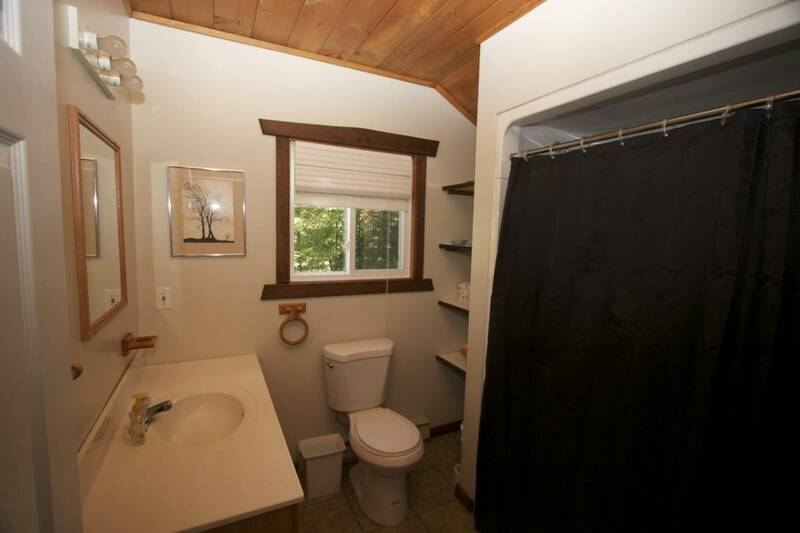 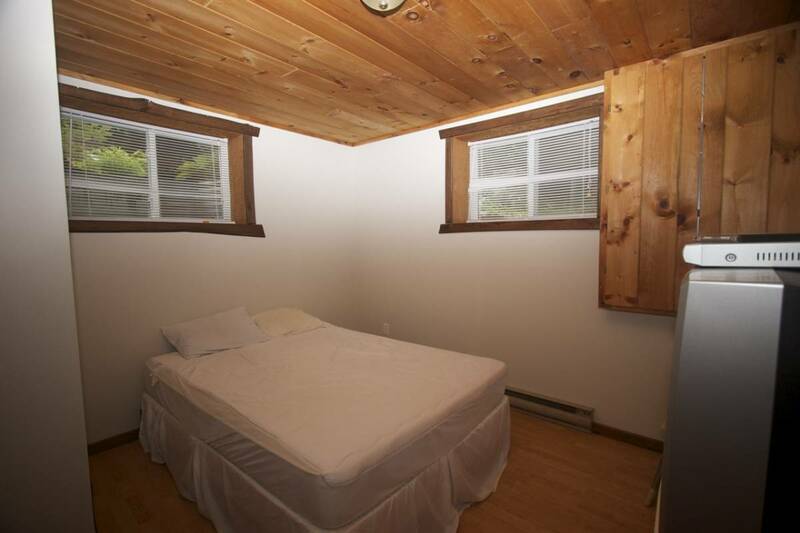 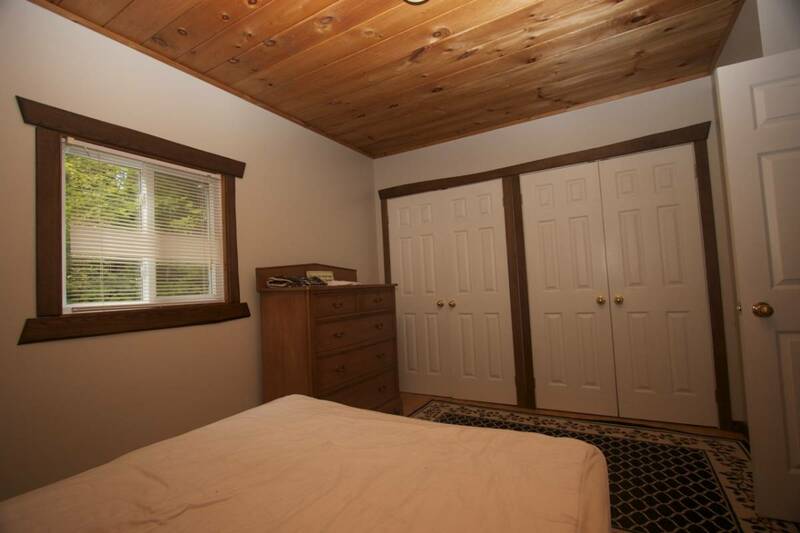 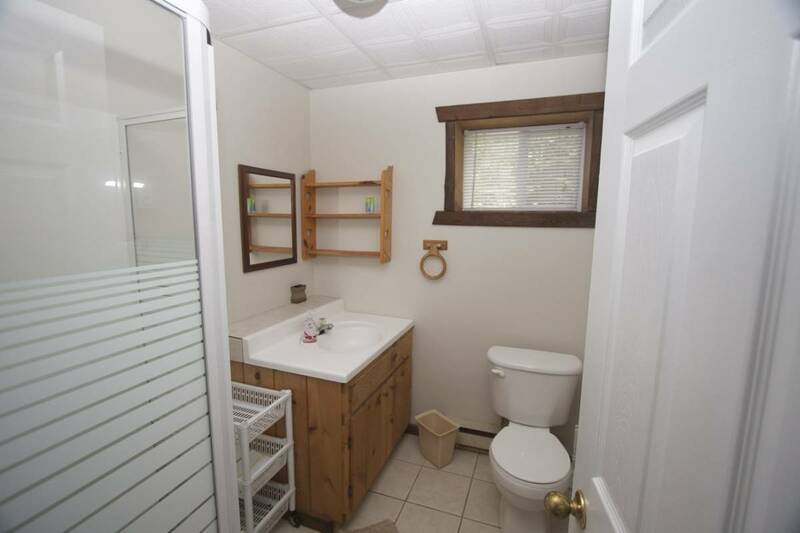 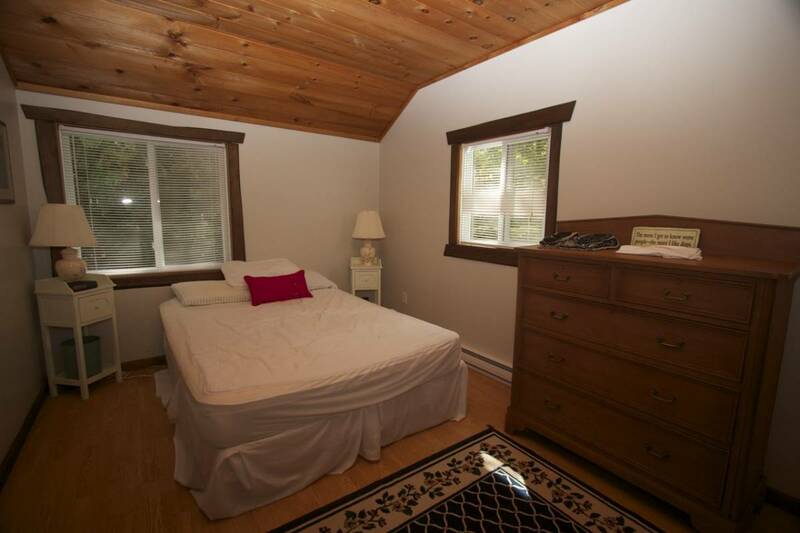 Also on the main floor is a bedroom and 4pc bath. 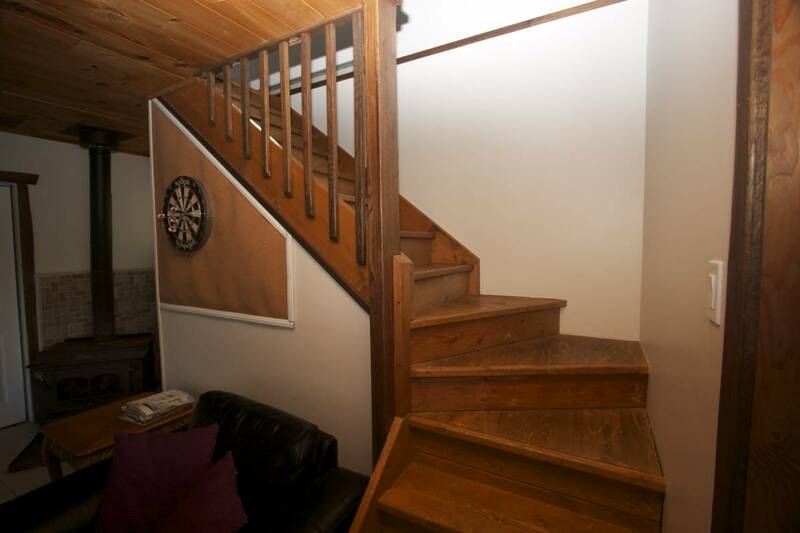 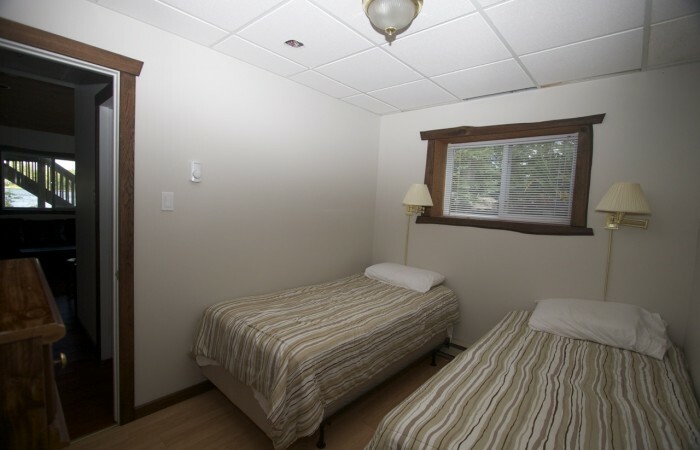 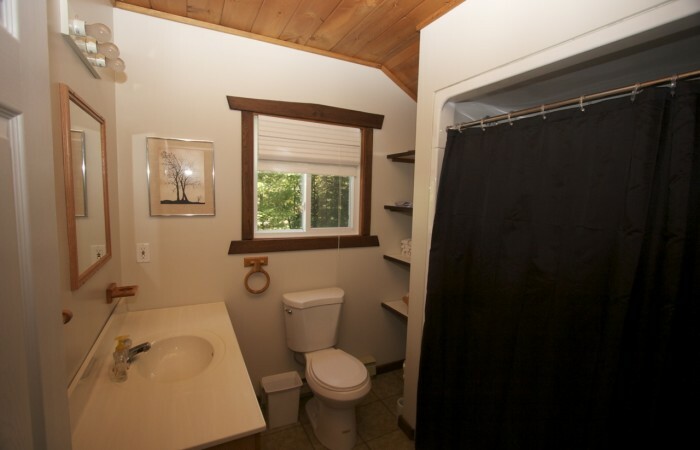 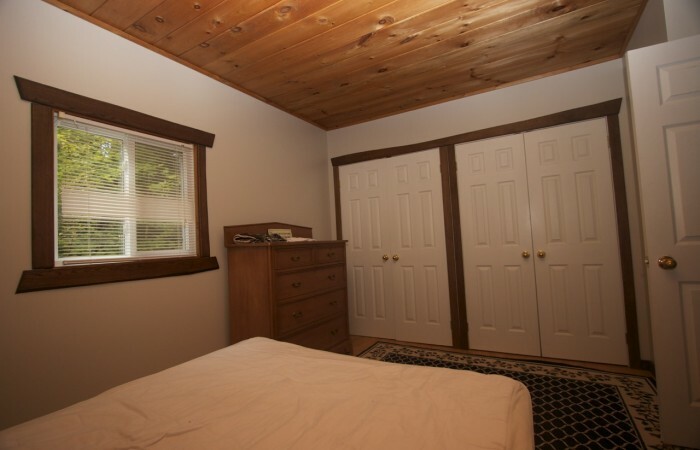 The walkout basement has 2 more bedrooms, a 3pc bath, laundry and a recreation area with a woodstove to keep you toasty on those chilly days. 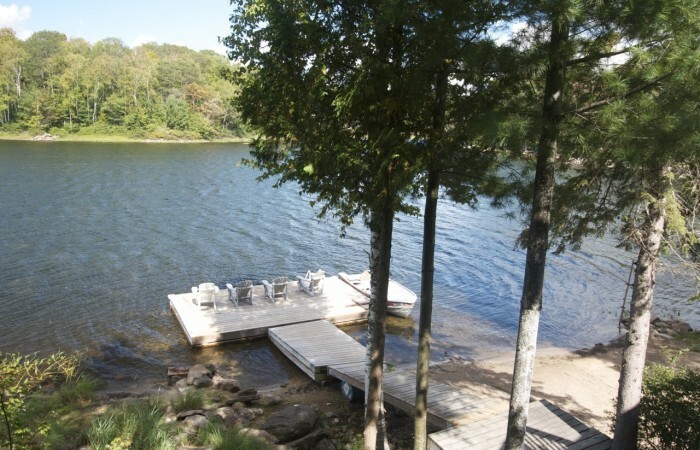 Walkout entrance provides easy access to your 118 feet of sandy, shallow entry water frontage. 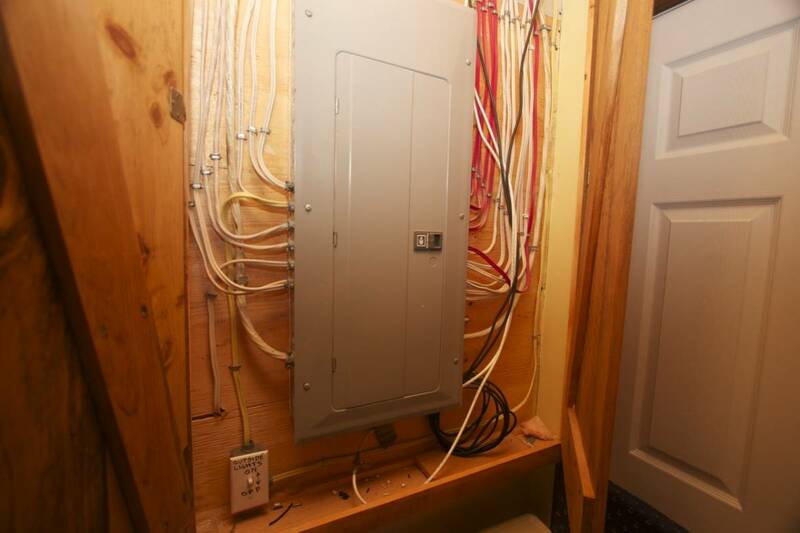 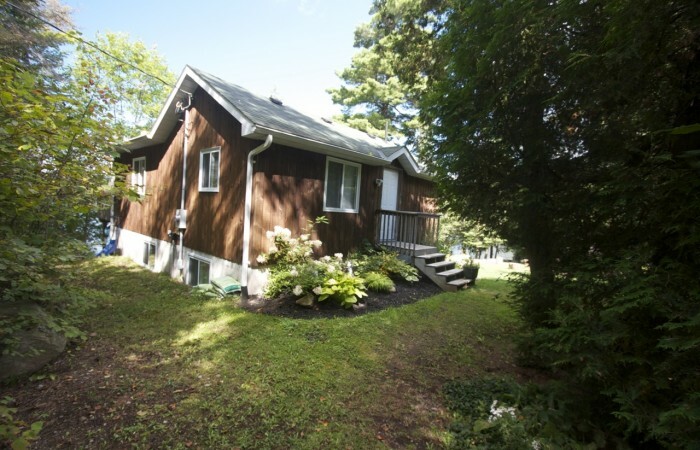 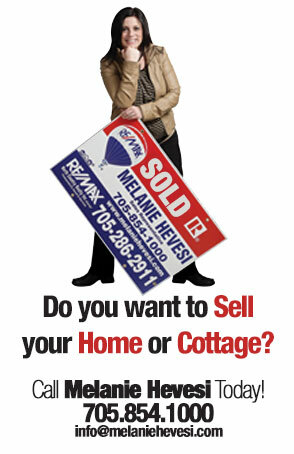 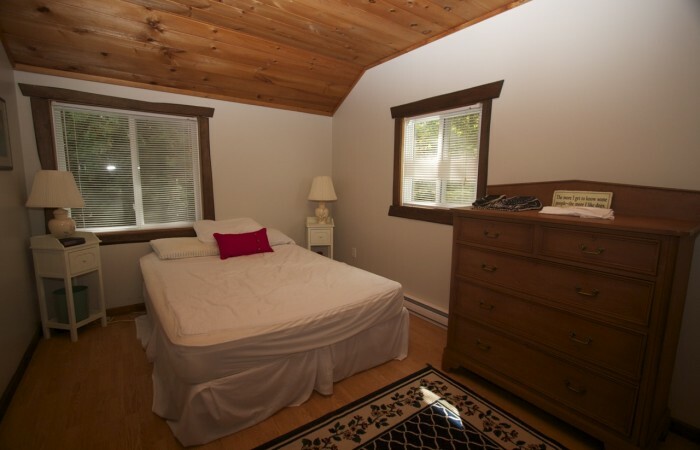 With modern décor and new appliances, this fully furnished cottage is ready for you to move in. 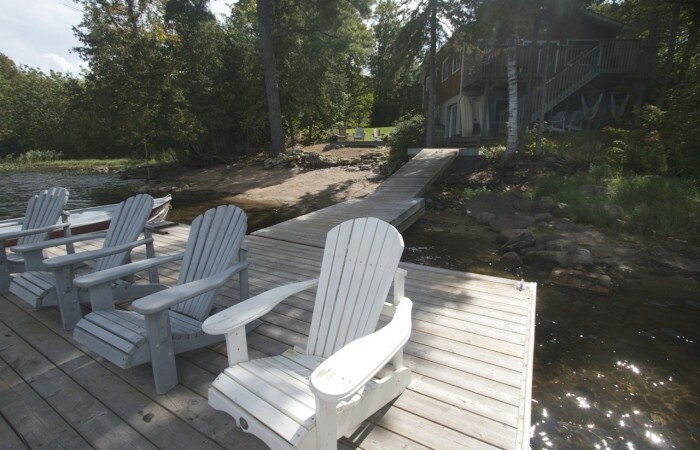 Relax and enjoy the Haliburton Highlands in all FOUR seasons .. not just 3. 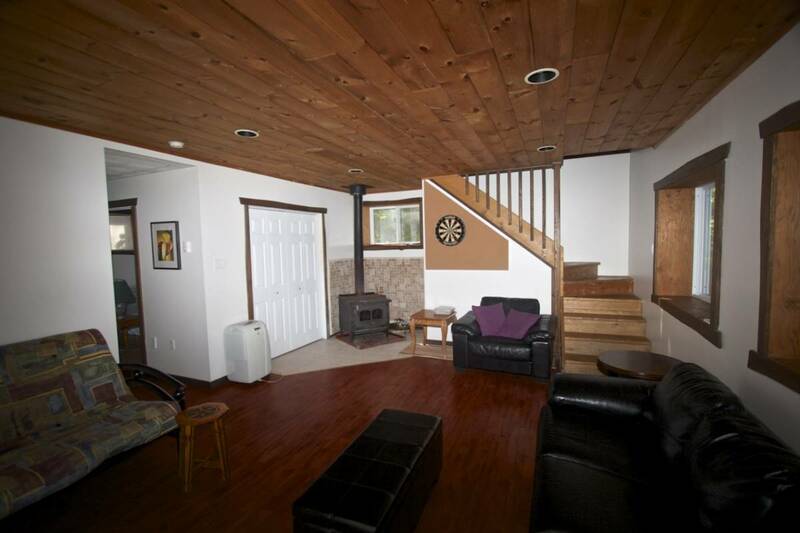 Easy year round access off Highway 35.